Dumfries has plenty of scenic walks to try, from short walks in Dumfries to longer walks in the countryside. 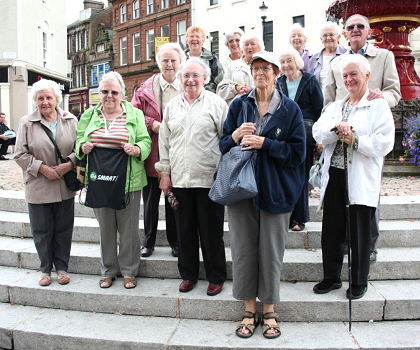 Dumfries also has many social walking groups for you to join. 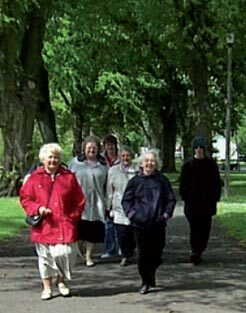 If you fancy joining a walking group, Dumfries has so many to choose from. Walking groups every week around Lincluden and Dock Park Monday, Tuesday and Thursday at various times. Social group organising occasional walking groups for ages 30-60. Local Cycle Route 10 runs from Dumfries Rail Station north on to Edinburgh Road out to Locharbriggs and Heathhall. From North West Dumfries take a walk along National Cycle Route 7 easterly over the Connect 2 Queen of the South viaduct to Nunholm. Enjoy the beautiful views of the River Nith from the Bridge. Walk westerly along the Maxwelltown Railway Cycle Path for scenic views over Dumfries and Galloway. From Troqueer take a walk along the riverside path to the town centre and along to Mavis Grove providing scenic views over to Kingholm Quay. Take a walk along the eastern bank of the River Nith to Kingholm Quay. From here you access the beautiful grounds of the Crichton Business Park. The Craig's Ridge Maidenbower path connects Georgetown with the Crichton Business Park, Dumfries College and Dumfries and Galloway Royal Infirmary. Download the Walking in Dumfries and New Abbey booklet to find out about walks to try out around Dumfries. Download here [819kb].